Like most 30-something Westerners, my first experience of animé was Battle of the Planets, a very heavily edited and dubbed version of Science Ninja Team Gatchaman. If you are from America, you are just as likely to have seen Star Blazers, another re-dubbed Japanese animé originally called Space Battleship Yamato. Not that any of us knew this at the time. In the United Kingdom, we had very limited access to such imports. Aside from the occasional random video in the video rental shop, we could only see the very small amount of programmes dubbed for TV. Oddly, these programmes ranged from the European/Japanese co-productions of classic European stories, Dogtanian and the Three Muskehounds, Ulysses 31 and Mysterious Cities of Gold to Laputa: Castle In The Sky (the first film from the now very famous Studio Ghibli). It wasn’t until the 1990s when Channel 4 took an interest in the genre, that the UK started to see more sophisticated and adult animé outside of expensive imports. Satellite channels, like FOX Kids, also broadcast dubbed TV series. Later, several companies, like AD Vision and MANGA, started offering official releases of movies and TV series (the latter, usually a measly 2 episodes a VHS tape). That’s when we got to see things like Akira, Patlabor, Ghost In The Shell, Guyver, Tenchi Muyo!, Gundam Wing, Serial Experiments Lain, and the seminal, Neon Genesis Evangelion. Believe it or not, this is actually a review of Attack On Titan. 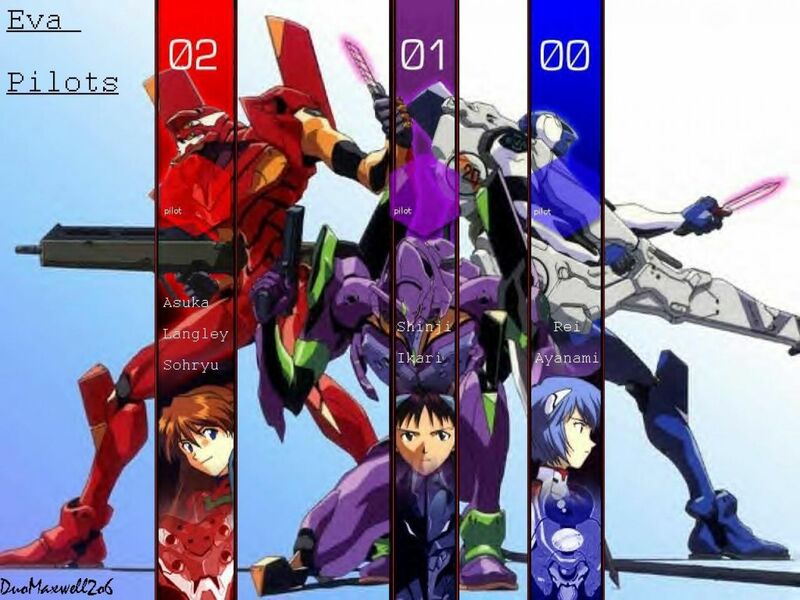 Neon Genesis Evangelion was game-changing. It was immensely well written, sophisticated with exceptional animation. Unsurprisingly, it was extremely well received both in Japan and the international market. It was a deconstruction of so many tropes of the ‘giant robot’ genre of animé (children piloting giant robots, which are the only defence against a giant monstrous enemy) and it was truly excellent. It borrows Judeo-Christian themes and ideas, which, seen through the eyes of a non-Judeo-Christian lens, adds a sense of uniqueness to the show. It was a phenomenon which continues today, nearly 20 years later (a third film in a new series of ‘rebuilds’ just having been released). The reason for that rather long introduction is because I wanted to establish that I’ve been fan of animé since the very early 80s and, while I’ve only seen a fraction of what’s out there, I’ve seen a fair amount over the years. That’s why I feel I can say that in this post-Evangelion world, Attack On Titan is close to being another game-changer. 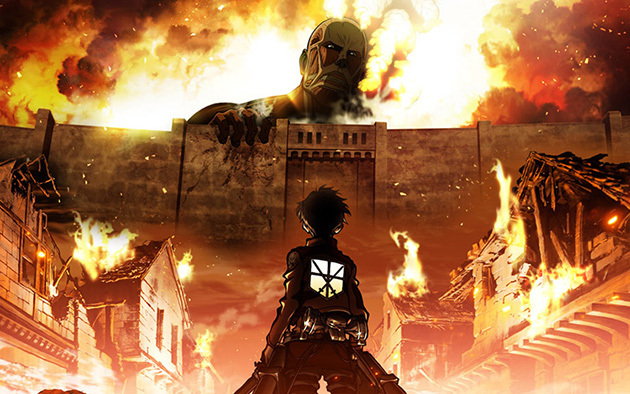 Attack On Titan is a riff on the giant robot genre, however, here, it asks the question: how would we deal with the traditional giant monsters of that genre if we didn’t have access to the technology to combat them? I’m not going to go into too much detail about the show, as part of the entertainment is learning as you go along. Suffice to say, none of what happens is what you think based on my précis. Plus there are plenty of twists and turns in the action, particularly how they deal with a society on the verge of collapse while surrounded by giant monsters who want to eat you whole. It’s really well written and I’ve adopted one of the show’s sayings as a personal motto. One of the things about this show which sets it apart from others is just how brutal it is. People die. A lot. And while it is bloody and gory, it never feels gratuitous because the setting is just that macabre. And it’s not just the monsters but the citizens themselves. From civilians desperate to escape (and just how desperation can drive a person to do terrible things) to authority figures having to make some pretty brutal decisions to how people can be quick to take advantage of others. This is not an uplifting or endearing show. It is unforgiving, harsh and utterly enthralling. The closest show I can think of in terms of themes is the remake of Battlestar Galactica. Both try to have a sense of realism in an unrealistic setting. Both follow a group of humans somehow trying to eke out an existence with limited resources and even more limited capacity to be humane. Both face bleak prospects with little hope of success. 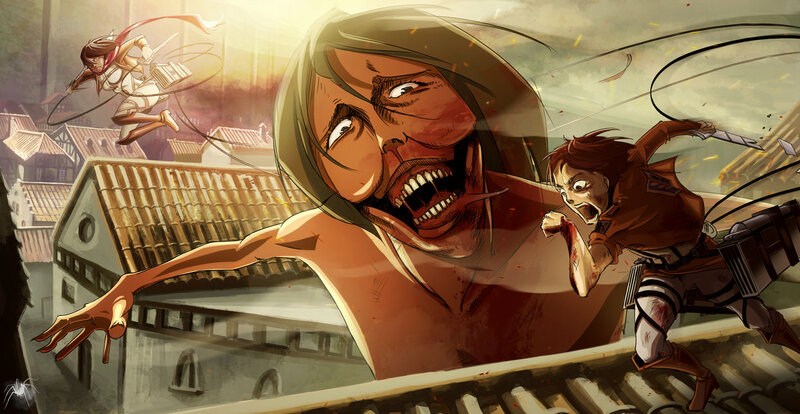 So if you liked Battlestar and like animation, you’ll probably like Attack On Titan too. As always in most (animé) series, there are a number of mysteries to be uncovered in Attack On Titan. Unlike a lot of other shows which hold back mysteries, they are revealed in a timely fashion and new questions are raised. This is extremely refreshing after sitting through the likes of Fafner In The Azure (which I thoroughly enjoyed but they held their cards close to their chest long enough for it to get boring) and, dare I say it, Lost. Shows which hang on raising questions and drip feeding the answers need to take a lesson from Attack On Titan (on how to do it). And maybe Lost (on how not to). Suffice to say, series one ends on a cliff-hanger which was as frustrating as it was brilliant, that is, very. 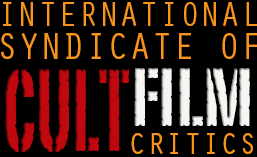 This entry was posted in TV and tagged anime, Attack On Titan, giant robots, Japanese animé, Neon Genesis Evangelion. Bookmark the permalink.